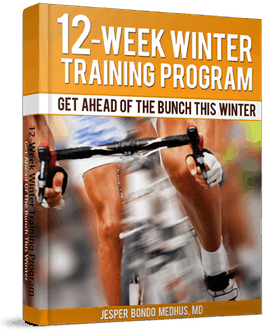 This training program will dramatically boost your race performance in only 14 days. The training program can be used by any cyclist, but riders with a SRM or PowerTap mounted on their bike will get the best value. The VO2 Max Booster Program will be launched on May 1st which makes it possible for you to boost your aerobic engine in the beginning of May. Don’t wait: Increase your VO2 Max today! As an extra service, I will try to collect data on how this training program effects your performance, so I will also bring a notice on this when I launch the VO2 Max Booster Program. These data will be presented as I’ve collected a decent amount of results. Stay tuned and don’t forget to tell your friends about the chance to test this amazing cycling training program. I have been using your winter training scheme and I’ve just finished it. I added some longer 20 min tt intervals to the program. There seemed to be a lot of VO2 max type intervals in the winter program, but that means that I have good form earlier in the season than I would usually. I have read the Coggan power book and he recommends using 145% threshold as a value for doing 2 min intervals, personally I can only maintain this value for the first one or two intervals. You recommend using the 5 min threshold value which for me is roughly 120% of Th. Do you think 145% of th is too great a value or is my VO2 max a bit low? It is far better to use your 5min power to estimate power at VO2 max than by calculating it as a percentage of your threshold power. Most people can maintain their VO2 max for about 3 to 8 minutes. Thus, a 5min test will come close to VO2max for most people. If you use a percentage of your threshold power to calculate your power at VO2 max, you get a less precise estimate. I guess Coggan will agree on that. Being a parent and a cat 2 road racer I need to make the most out of any traiing time that I can get, so during the week I tend to do 1 hour on the turbotrainer every morning, I have been using your winter training schedule. I like the 4*[5*[40+20]] at vo2 max a lot. If I use my VO2 max to do this test it is too easy though, so I try and aim for 135% of th, although it is a lot more painful. Is the ‘no pain no gain’ attitude worth the extra pain – because if I get the same results by using my vo2max then I would as it is less stressful. One of the problems with using a power meter is that I can get into chasing wattage levels too closely. Clever decision of you to do VO2 max intervals when your time is limited. Have you read this article? i am really looking forward to the free workouts. what you say about v02 max intervals makes a lot of sense. it has helped me in the past. I’m trying to get some information on proper training for mountain bike riding. Last year my son and I attempted a 65 mile ride. We only made it 26 miles. I’ve had asthma most of my life and need to use and inhaler occasionally. I didn’t get on my bike all winter and it has been hard getting back to my riding level of last year even though modest. I’m determined to eventually work up to a 65-95 mile mountain bike ride and loose 50lbs in the process. Not worried about being competitive, but I want to build up my cardio. Any tips or advice on getting started appreciated. – Should I include some riding on the road with my mountain bike? or stick to exclusively off road riding? – Since terrain varies is the a right or wrong way to train with off road riding? Can you describe main principles of training in racing season? – how to make training plan between events? – how to training before main races and before secondary? – is it possible to race every weekend (cross-country, road racing)? 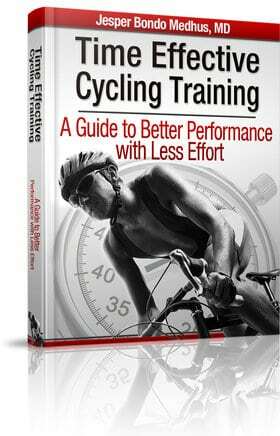 – is it important to do intervals during race season? For my fellow racers is a common practice to race every weekend, and at the middle of the week to do an exhausting training for supercompensation before sunday race. What if told you all that I can increase your VO2 10 to 12 percent and lower your heart rate. Would anyone be interested? I have the answer and the testing to prove it. Dr. Max Testa who is the Tour de France doctor and Dr. Eric Heiden who is the Olympic spped skating coach have done some testing and the results are amazing. If anyone wants to know about this amazing scientific breakthrough and and wants to get their hands on this new product that has been approved let me know. I’ll be interested to try……. I’ve been told that at 51 I can’t increase my V02 Max, is this correct? That is not correct. You will very likely increase your vo2 max with training, no doubt, but your best possible vo2 max declines as you get older. Hi Steve, I’d be interested to hear about the vo2 test results from Max Testa and Eric Heiden.